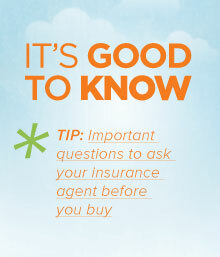 For more information on Working with Your General Insurance Agent, click here to view our brochure. For more information on Working with Your Life Insurance Agent, click here to view our brochure. For more information on Working with Your Insurance Adjuster, click here to view our brochure.